What’s this, a new post? It’s been ages since I’ve posted anything of real length and worthiness. I feel really bad about it, because when I started this blog I was posting with such vigor and quickness that it’s like I’ve abandoned writing. I know people say that it really doesn’t matter how often you post, just that you do. Nevertheless, I feel bad about my lapse in content. The reason why I haven’t been posting is two-fold. One reason is that I am working a full-time job. I still have time to game, thank goodness, but it’s really hard to find time to put the work into a post. I like to put a meaningful amount of time into this blog if I’m going to out any time at all in it. The second reason that I haven’t been posting regularly is that my full-time job takes place during vampire times. My current shift runs from 11:00 PM to 8:00 AM with an hour in the middle with lunch. Theoretically, I could put time away either before or after work to write but it’s really hard to wake up early and after work all I want to do is decompress. If you wanted to know, I work maintenance at a Wal-Mart. On average I walk about 13 miles a night. Yeah, I know that’s a slow pace BUT it is the distance that really matters. Add to that the almost constant sweeping, periodical bathroom cleaning, outside cart pushing, and other general and exciting work and all I want to do when I’m home is rest. I was pushing carts in this paradise. However, have no fear! The end is nigh… at least, the end of my having to work this job. As to where I’m going, I’ll post about it and the rest of my plans when I know for sure. I was going to go to TCU (Texas Christian University) but the finances didn’t work out. I was trying to join the ROTC there but due to my stammer and bad eyes I didn’t pass the physical. Bummer. As you can see, I really like my 3DS. I have a beef with this game and with a sentiment that’s going through the gaming world that is starting to really annoy me. First of all, I want to state that I have been a fan of the Call of Duty franchise since the beginning. I grew to love the series when it was THE World War 2 shooter game, and it deserved all the praise it received. The game was focused more on balancing gameplay with story. I have fond memories of the Stalingrad battle in Call of Duty and the Normandy beachhead in Call of Duty 2. These games still had their “Michael Bay” moments but they took place in the context of real events, thus giving them more of an emotional impact on the player. All of these moments that make your heart pump actually happened. I never did get a chance to play Call of Duty 3 since it was a console exclusive and at the time I did not have a console that could play it. To my knowledge, Call of Duty 3 is the only one in the series that I haven’t played to completion. I even got to play Big Red One since it came out for the Gamecube. I remember the excitement over Call of Duty 4. The market had become saturated by World War 2 shooters and the change was much-needed. When the game came out, we were ecstatic that it lived up to the expectations we had set. All of the events of the game, besides one, seemed to be totally plausible and even mirrored some real world situations. The characters were based on real world military units and used real world tactics. The events of the game were purely fictional, but Infinity Ward was still able to make the player care about the characters due to the stellar writing. Then came the rest of the Modern Warfare games and the steady downfall into the ridiculous. I think this all started with Modern Warfare 2 and the revolutionary multiplayer components that it brought to the table. I never had reliable internet at this time, and I played games more for the story anyways, so I never got into multiplayer. However, I was of the minority. 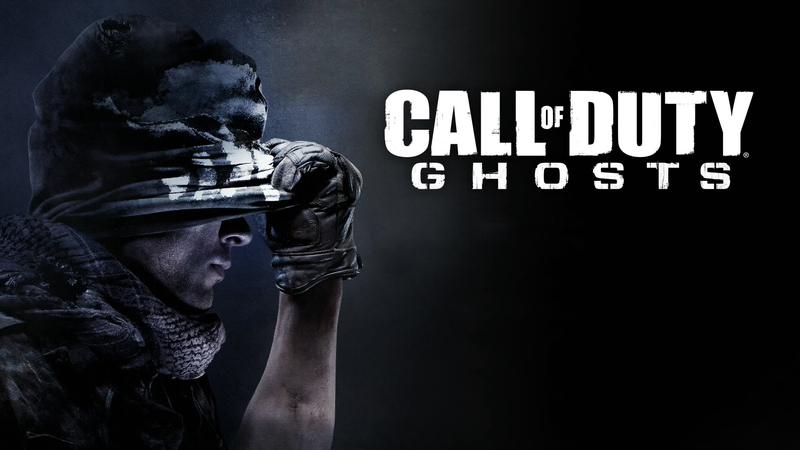 Call of Duty became a multiplayer phenomenon and the game developers noticed. As the series progressed, the single player took the backseat to the multiplayer since that was the main reason that the majority of people purchased the game. This did not upset me too much because I completely understand that a company is focused on making money, that’s what they do, but also because there was still a decent story being told. Call of Duty 4 established a solid story with solid characters. As the Modern Warfare series became more bombastic, it still had the anchor of Call of Duty 4 to hold it together. Soap and Price were becoming the action movie characters; they didn’t just start there. At the finale of the series, it was more or less believable that a man like Price could do the things he did. The player had 3 full games with the character to set up his story arc, and that made the ending so much more enjoyable. Then came Call of Duty: Ghosts. When the first story trailers came out I was very excited. It seemed that Infinity Ward was working on a game with a solid story instead of just treading in the waters of previous works. The trailers made it seem like it would be the story of two brothers fighting against an occupying force in a guerilla war. Call of Duty: Ghosts hit me like a lead brick. I was so excited to play it, and the game’s beginning seemed to meet my expectations. Even if the attack on the United States seemed a bit rushed at the start, the first few missions seemed to back up what I thought the game would be about. Then you get to the military base. Here you see that it is not a guerilla war, not even close. After I was given my orders to do whatever it was behind enemy lines in South America, I realized something. Call of Duty: Ghosts is just another Call of Duty game. It takes the same exact format of going from super secret mission to super secret mission to beat the antagonist that you’ll have a quick time battle with at the end of the game. Not only does this antagonist get the usual treatment of any other Call of Duty villain, but he made no sense to begin with. The entire idea of the man who the enemy breaks mentally and physically so that he turns on his fellow countrymen is really cliché and ridiculous. This highlights the main thing that Call of Duty: Ghosts does wrong; there is no anchor point for the explosions and craziness that goes on. The game feels much more like a movie than the previous ones because I had no emotional attachment at all with the characters. Besides the dog, just because it was a dog. Also, what they do with the dog was kind of cheap. I grew to be a fan of the franchise based upon the single player experience and not the multiplayer. I think it is safe to assume that most people who are into the Call of Duty multiplayer are into it, and there isn’t a whole lot of other people out there that will come over. However, there is still single player fans that the series can and will lose if they do this sort of laziness again. I know that making a game this big is nowhere near lazy, it takes more work that most people will ever realize. However, as a long time fan, I believe that I have the right to feel slighted when I see the series turn its back on me and people like me by making the single player story a pile of cliché, bad writing, and shallow characters without any real positive values. The excuse that no one plays the single player is dead wrong and should never be used. As long as a developer has this mindset then they will continue to lose fans like myself. To be honest, I can’t say whether I still call myself a fan of Call of Duty. I did, and some of the previous entries in the series are still some of my favorite games. However, the series has evolved into what the majority wants it to be. Because I am not in that majority I have been left on the side of the road. At least I still have Price. Please feel free to comment on anything and everything. Feedback is vital to me and there's nothing better than having discussions on things that you're passionate about, and I'm passionate about video games.